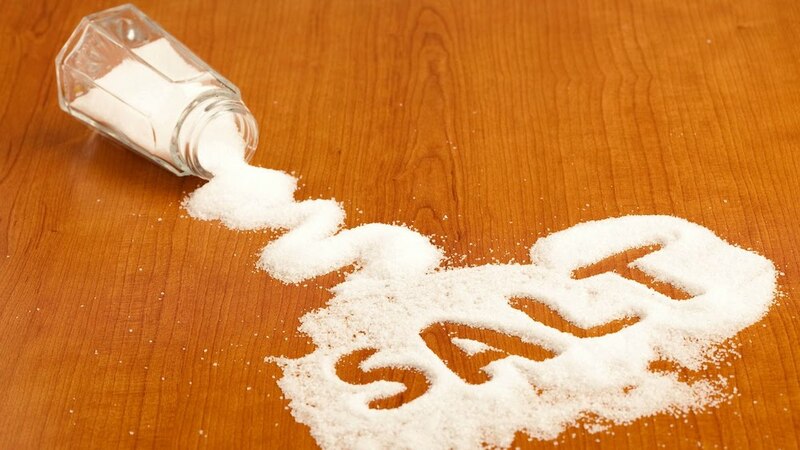 Does table salt cause Alzheimer’s disease? Even more shocking than the answer is the easy way to fix the problem. The link between Alzheimer’s and aluminum is now documented, and the use of aluminum in table salt is real. A major study hit the world in the face recently that linked aluminum consumption directly to Alzheimer’s disease. It’s the most recent of several studies tying Alzheimer’s to aluminum poisoning. So how does the aluminum get into our brains? One way might be table salt. It seems the table salt companies traditionally used the metal as an anti-caking agent. While it’s nice that the salt in our shakers doesn’t stick together on humid days, it’s not really worth the living death of Alzheimer’s disease. Thankfully at least one major manufacturer dropped aluminum as an ingredient years ago, but that’s not the end of the table salt health risk story. Study after study has now shown a strong connection between Alzheimer’s and aluminum. The most recent seems to cement the metal’s role in the deadly brain disease. Aluminum is a potent neurotoxin that lodges in the brain and stays there for life. In the study, scientists found toxic aluminum levels in the brains of every deceased Alzheimer’s patient they autopsied. The aluminum served as a lightning-rod for Alzheimer’s plaques that destroy brain function. Aluminum comes from many dietary sources including baking powder, aluminum cooking pans and table salt. The trace amounts used as anti-caking agents by salt companies were thought to be harmless. The truth is that even trace amounts can build to toxic levels over time. So does all table salt contain aluminum? Thankfully most of it doesn’t, though Morton Salt only stopped using the toxic metal as of 1994. Think you might have aluminum in your brain? Need a cleanse? See our article on that here. The table salt health conundrum has taken a turn for the better in recent years. A call to Morton Salt confirms they stopped using aluminum as an anti-caking agent in 1994. While that’s not enough distance to save some from Alzheimer’s, it’s almost certainly cut the risk for many. A check of the ingredients list on a container of Morton Salt also confirms no aluminum. Calcium silicate has replaced the metal as the no-stick mineral of choice. Sadly, the replacement doesn’t mean table salt is healthy. First and foremost, table salt is mostly sodium. That means it inflates the risk of heart disease, high blood pressure and stroke in excess quantities. Another reason to eschew the chew-enhancing salt is processing. Naturally occurring salt is mixed with lots of beneficial minerals. There’s some evidence the purification process strips these minerals from table salt, leaving us with a healthless, robotized alternative. One way to solve the table salt health question may be Himalayan pink salt. It’s naturally mined and available for cheap on Amazon Prime. It’s also full of vitamins and minerals that actually help our health instead of hurting it. Another cleanse for metal in the brain? Spirulina. Just be careful, since this popular supplement can actually boost your metal count. See our guide to picking the best one here.